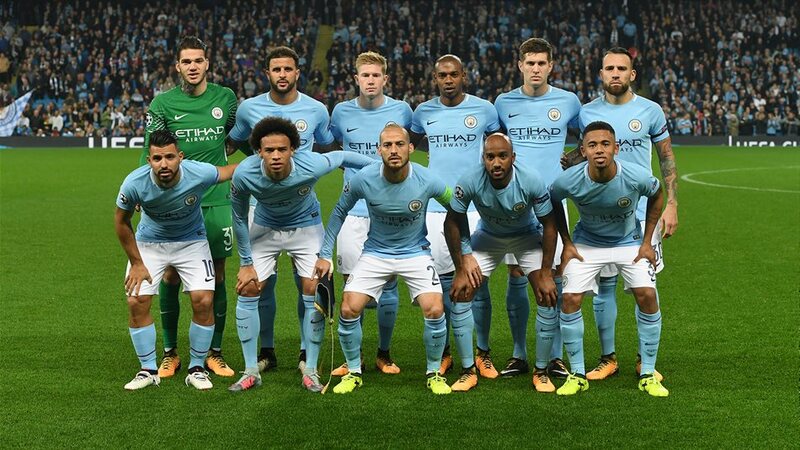 Enjoy this short overview of the 2017/2018 Premier League season, featuring a couple of crystal-ball-like predictions and a bevy of very, very shambolic ones. Arsenal: 6th- Not quite the renaissance anticipated; a former giant being often troubled by Burnley for their spot in the league needs a serious overhaul. With the incoming Unai Emery, they may just get it. What SCAN predicted: 2nd- Controversial. Arsenal limped into a meagre 5th place last season, their first outside the top 4 in over 20 years, and with unrest over the competency of long-time manager Arsene Wenger. However, no Champions League football has proved invaluable for the last two Premier League winners and in Alexandre Lacazette, they have someone who knows where the goal is. Bournemouth: 12th- With the odd scare aside, more of the same indeed. What SCAN predicted: 11th-The Cherries looked excellent last season (outscoring Manchester Utd domestically) and boss Eddie Howe has only strengthened since then bringing in the evergreen Jermaine Defoe and Nathan Ake. Expect more of the same. Brighton: 15th- Brick-wall defence and solid man-management means they scrape through by the skin of teeth; will surely require bolstering in the transfer window to make them into Premiership stalwarts. What SCAN predicted: 20th- Despite just breaking their transfer record, I can’t see anything but straight relegation for Brighton. Chris Houghton doesn’t have a great record in the premier league and their style of play leaves them vulnerable at the back. Burnley FC: 7th-how happy I am to be wrong. Turns out we didn’t have England’s finest in goal, we had him on the bench! The closest a Pope has got to God status since St. Peter. What SCAN predicted: 18th- My beloved. I’d love to be wrong but after only recording one away win all season last year and selling our two best players (still got England’s finest in goal, however) the unfortunate truth is we’re down. Chelsea: 5th-And indeed, they were not. Olivier Giroud as a signing to lead the line is not the actions of a team looking for premier league retention. What SCAN predicted: 3rd- They looked fantastic last term but after giving up key stars like Diego Costa without real replacements as well as the added Champions league strain, last season’s heroics will not be repeated. Crystal Palace: 11th– Correct on doubting the credentials of de Boer (or is that ‘the bore’? ), with it taking heroics from Roy Hodgson to save them. What SCAN predicted: 15th- Tipped by many as dark horses but manager Frank de Boer is record is poor than his exceptional playing career warrants. Expect them to have enough firepower to stay up but not much more. Everton: 8th– Never has an 8th placed team been more disappointed; indicative of the dreadful football played at Goodison, a far cry from the promises of pre-season. What SCAN predicted: 6th- An utterly fantastic transfer window, finishing the season in great form and keeping a proven manager. It’s a shame the other top sides have all done the exact same or some real success may have been attained. Huddersfield: 16th-Bang on. Early success, shock giant killing, struggle toward the end. What SCAN predicted: 16th– Like Burnley last year, Bournemouth the year before and Norwich and Swansea before that, expect the Huddersfield success story to survive another year through sheer determination. Definitely down the year after though. Leicester City: 9th-Great run under Claude Puel and Harry Maguire rejuvenating that ancient defence lead to another solid season. What SCAN predicted: 14th- Back to Earth for the foxes; their aging defence gets a year older while Craig Shakespeare attempts to be the first caretaker manager to be able to accomplish anything in a full season in the League. Liverpool: 4th– The brilliance of Mo Salah may have been slightly understated: Liverpool have been simply electric in attack. The signing of Van Dijk, however, has not done enough to fix defensive frailties. What SCAN predicted: 7th- Mo Salah is a brilliant addition but with no improvements to the porous defence of recent seasons the highs of last year won’t be repeated. Kopites will be happy with staying above their ever-improving neighbours. Man City: 1st-See below, sans ‘probably’. What SCAN predicted: 1st- Unbelievable squad depth. Improvements in key areas. Settled, world-class, manager. Champions. Probably. Man United: 2nd– Consistently ok; a minimal season given the investment made. What SCAN predicted: 5th- Jose Mourinho has an exemplary historical record in second seasons, winning the league with three different sides. But a poor pre-season and failure to really fix the problems of last season means Utd won’t go much further. Newcastle: 10th– Lack of signings did get incredibly worrying but Rafa showed real credentials to drag a solid season out of a mediocre side. What SCAN predicted: 12th- Considerably the best team in the Championship and a fantastic manager in Rafa Benitez means the Magpies will be fine this season. A worrying lack of signings aside, they’ll stave off relegation. Southampton: 17th– Surprise: they were dreadful this year and the ‘solid season’ train is finally derailed. What SCAN predicted: 9th- Same old story for the Saints. Managerial change; solid, not exceptional, squad; an 8th, 9th or 10th place finish. Standard. Stoke City: 19th– Unfortunate that Stoke decided to spice things up at The Brittania by being absolutely dreadful. What SCAN predicted: 13th- Similar story to Southampton. Bar mercurial signings from the biggest club in the world, Stoke haven’t done anything interesting since Rory Delap’s long throw. They’ll do fine. Swansea City: 18th– The trump cards were not kept and relegation struck; dissapointing to pull off a miracle escape only to get sucked right back in. What SCAN predicted: 17th- A brush with relegation last year is a sign of things to come for the Swans. A tough season ahead, only by keeping their trump cards of Gylfi Sigurdsson and Fernando Llorente will they survive another year. Tottenham: 3rd– Predictable as ever but still very entertaining. What SCAN predicted: 4th- Not a deep enough squad to compete on all fronts with a fan base hungry for a trophy. First team is good enough to secure a Top 4 finish but not much more. Expected cup run will mark real success. Watford: 14th– After the most entertaining start possible, starring the roller-coaster saga of Marco Silva, slipped straight back to a yellow personification of tepid. What SCAN predicted: 19th- The most boring team in the league. Unbiased against the fact they’ve doomed Burnley to relegation with the signing of Andre Gray, Watford simply don’t have the quality to survive another season. Surely. West Brom: 20th– Admittedly Pulis didn’t have much chance to deliver but this was just an awful season for the Baggies. What SCAN predicted: 10th-Tony Pulis trademarked. Fantastic signing in Jay Rodriguez and they’ll be impossible to beat at home and will cause the odd upset as a result. Don’t expect entertainment but Pulis always delivers. West Ham: 13th– A great summer transfer window but, unbelievably, it took David Moyes to get them firing on all cylinders; a prediction surely no one could have made. What SCAN predicted: 8th- Second only to Everton in terms of quality of transfer window.